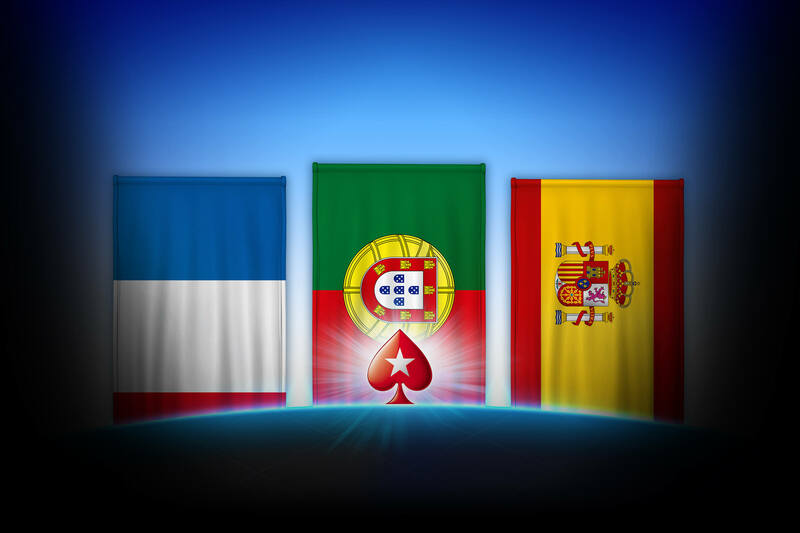 ONCHAN, Isle of Man – May 23, 2018 – Poker players in Portugal can now compete against French and Spanish players at the online tables at PokerStars, the first online operator to offer a shared player pool between the three countries. With even more players will come even bigger prizes, richer Stars Rewards, a wider selection of games and a new tournament series to celebrate the union. From June 3 -13 , PokerStars will host the €5 million guaranteed online Trio Series, which will feature 78 events including the €250 Main Event with a €500,000 guarantee. There will be a host of promotions including Main Event depositor freerolls, Second Chance freerolls, daily freerolls giving away €3 and €10 satellite and Series tickets, as well as €2.50 Spin & Go’s in France. Buy-ins for the Series start from as little as €1. Portuguese players will also be able to enjoy a revamped daily and Sunday tournament schedule. The Trio Series follows on from France and Spain’s very own Spring Championship of Online Poker (SCOOP), which surpassed its record breaking €10 million guarantee to reach €11,768,035, and the successful FRESH (France Espania Hold’em) Series for French and Spanish players. FRESH saw more than 30,000 unique entries across 50 scheduled events, creating a total prize pool of €6,149,751, exceeding the €5 million prize pool guarantee. In January 2018, PokerStars was the first poker operator to enable players from France and Spain to play together online.